VELMA NANCY WILKERSON, was born to the union of the late Farley and Gertrude Campbell on March 13, 1934 in Baltimore, Maryland. She was the second of 6 children. She quietly slept on Monday, January 28, 2019, at University of Maryland Medical Center. A host of love ones were there by her side as the Lord came to receive her. She received her education from Paul Laurence Dunbar High School in 1953. Velma’s thirst for knowledge led her to continue her education at The Community College of Baltimore where she received her Nursing degree in 1977. Velma worked at various hospitals in Baltimore until her retirement. In 1958 Velma married the love of her life Ned, this loving and caring union lasted for over 61 years. From this union, one son James and one daughter Linda were born. God gave her many children both in the church and in the community who she loved as her own. How could such a tenacious women of integrity, respect, elegance, beauty and grace be so humble that she would open her home and her heart to everyone, feeding and caring for others as she did her own family. Velma simply understood the ministry of Jesus. She accepted the Lord Jesus Christ as her personal Savior at an early age, under the pastorate of the late Pastor Matthew Walter Wilkerson of Zion Baptist Church where she served faithfully and continually found pleasure in working in numerous ministries until her health began to fail her. The Lord Jesus Christ manifested in her as a tower of faith, love, hope, truth, strength and courage. A woman of wisdom and wit. Her favorite saying was I love you, but God loves you best. 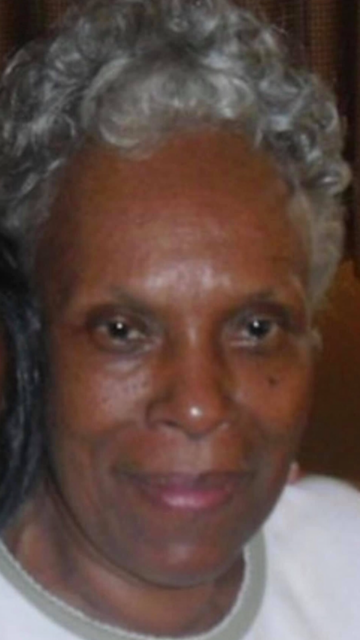 After living a full and rewarding life, she leaves to cherish her memory: her husband, Ned Wilkerson; son, James Wilkerson; daughter, Linda Wilkerson; daughter-in-law, Glindia Wilkerson; six grandchildren, Keiona Pyles, Jamal Wilkerson, Brea Evans, Georgette Bennett, Elijah Wilkerson, and Erik Walker, seven great-grand: Aniyah Morris, Kori Dangerfeild, Gia Teel, Karsyn Wilson, Logan Teel, Jeriah Bennett and Jada Bennett, one sister, Ella Mae Patterson; two brothers, Bishop Robert Campbell and Herman Campbell, sister-in-Law, Marie Campbell; a devoted Nephew Robert Campbell (Butch); a close friend, Ellen Carter and a host of Nieces, nephews, other relatives and friends. She was preceded in death by Daughter: Shirley Ann Wilkerson and Two brothers: Richard and Farley Campbell.